An exciting project this year was the development of our new logo and website, thanks to Hyack Interactive. It was high time we updated! 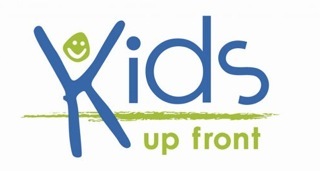 We are happy to have received very positive feedback on our new look. 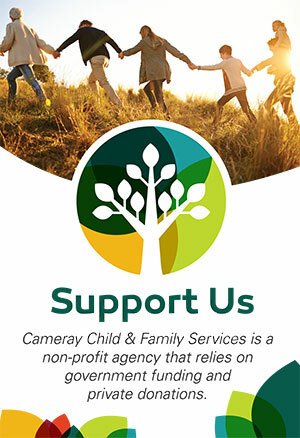 After much hard work, reviewing all our policies and practices and compiling evidence of our compliance with accreditation standards, and culminating in a site visit from COA peer reviewers in mid-June, Cameray successfully passed the re-accreditation process. In fact, we did so well that we were expedited through the Pre-Commission Review Report process as a result of our ratings. 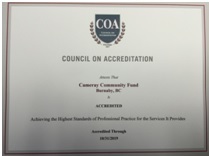 Cameray is now accredited with Council on Accreditation through October 31, 2019. Thank you to all staff for their hard work through this challenging process, as well as to our clients and community partners who assisted us through participating in surveys and interviews. We couldn’t have done it without you! We had a few changes in personnel in our Counselling program over the year – and we were sad to say goodbye to some long-time staff. We wish all the best to Lara Wease, Jenny Watt and Stephanie Moyal. In addition, we said a temporary goodbye to the Clinical Coordinator, Michelle Holding, as she left on maternity leave. However, we also got to say hello to some new Counsellors – Tiffany Jay, Betty Lau, and Jessica Kam – as well as Mena Perrotta who returned from Cameray days gone by to fill in as Clinical Coordinator, and of course hello to Michelle’s twin baby girls! In addition, in the Parent Support Program, we wished Kat Fournier goodbye congratulations on the birth of her baby girl, and welcome back to Jody Moore as she also returned from Cameray’s past to cover Kat’s PSP Counsellor position. The agency participated in Hats Off Day in June in order to increase our visibility in the community. We had a lot of fun, and had a successful day of informing the community about our services and selling popcorn! 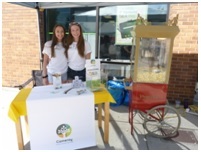 A big thanks to TD Bank on Hastings at Madison for hosting us, to staff for coming out on their weekend to help promote the agency, and to our volunteer popcorn sellers Sophia and Julia! In November we hosted our second annual fundraiser workshop at the Italian Cultural Centre. 89 participants had a full day learning about “Working with Trauma in Children and Youth: Building Your Toolbox” with Natalie Clark and Penny Davis. 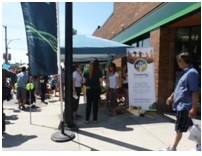 It was a successful event, and we are busy planning another for 2016! Finally, we held our annual Holiday Party for clients in the Parent Support Program. As usual, it was well attended and a good time was had by all. Many thanks to Calkins & Burke, TD Bank, and BCAA for their donations to help us provide food and toys to many deserving families in need! So that wraps up 2015. Wow! I will try to blog more regularly to keep you all posted in 2016 – in the meantime we are looking forward to another great year!